Senators and Congressmen from Virginia urged President Trump Monday to declare a federal emergency before Hurricane Florence makes landfall later this week. The congressional delegation wrote in support of Gov. Ralph Northam’s request that a federal emergency be declared. Sens. Mark Warner and Tim Kaine, along with Reps. Rob Wittman (R), Scott Taylor (R), Bobby Scott (D), A. Donald McEachin (D), Tom Garrett (R), Bob Goodlatte (R), Dave Brat (R), Don Beyer (D), Morgan Griffith (R), Barbara Comstock (R), and Gerry Connolly (D) all signed the letter. The hurricane has already prompted mandatory evacuation orders in the Carolinas and Virginia. Florence was upgraded twice Monday to a Category 4. 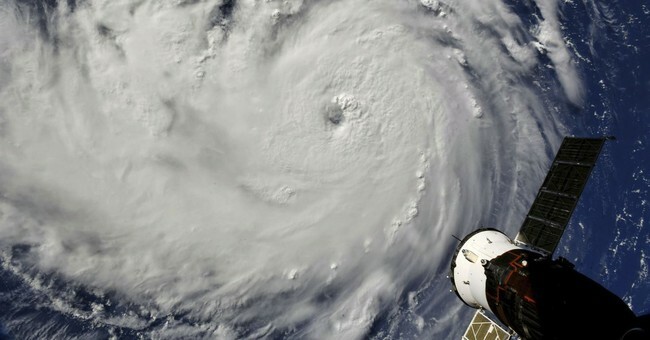 It has the potential to become a Category 5 storm, the National Hurricane Center says, and it is expected to make landfall in North or South Carolina by Thursday. "Everyone in Virginia needs to prepare," Gov. Northam said. "This is a serious storm and it's going to affect the entire state of Virginia." President Trump tweeted Monday evening that he had just spoken on the phone with the governors of the states that will be affected and he is on standby with any assistance they need from the federal government. He also encouraged people to be safe and follow the directions of state and local officials.